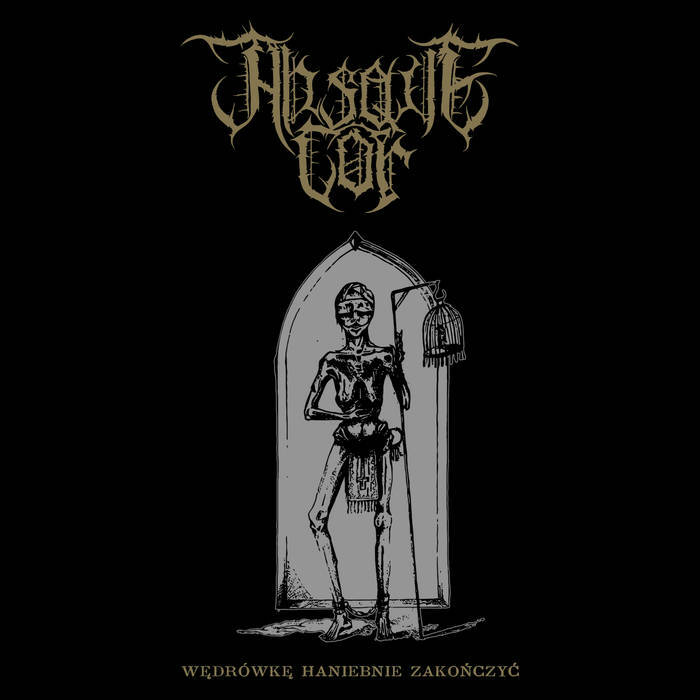 This is the debut album from Polish one man black metal project Absque Cor. This is a black metal album with a lot of depth, nuance, and intricacies. It’s clear that a great deal of time and energy has been spent on these compositions, resulting in a selection of songs that satisfy and engage. There are only four tracks on this album, lasting 32 minutes in total, but within this playing time there’s a wealth of quality material, and a decent amount of diversity too. The music is largely of the atmospheric black metal strain, with strong melodies and plenty of substance. Although the artist is perfectly capable of playing aggressively, and does so when the need arises, a significant amount of the music here is more considered, restrained, and thoughtful – within the context of black metal’s inherently venomous delivery, that is. There’s a streak of depressive black metal in the album too. However, although this is noticeable, it’s only a small part of this artist’s sound. The same can be said of some post-black metal elements here and there, which see the music develop along more expansive and ever more atmospheric lines, although once again this is only one aspect of the multifaceted delivery that you’ll find on Wędrówkę Haniebnie Zakończyć. The guitarwork is exemplary in many ways, and I especially like a lot of the riffs on this album. It could have been so easy for the artist to settle for some background distortion that was quite generic, but did the job; what he’s actually done though, for the most part, is write riffs and rhythms that cause you to sit up, pay attention, and think to yourself, “well, that’s just swell”. Wędrówkę Haniebnie Zakończyć is an impressive and detailed album, one that seems to just get better with every listen, as you discover more and more treasures hidden throughout its dark labyrinthine corridors. This entry was posted in Black metal and tagged Absque Cor, Atmospheric Black Metal, Black metal, Depressive Black Metal, Metal, Post-Black Metal. Bookmark the permalink.